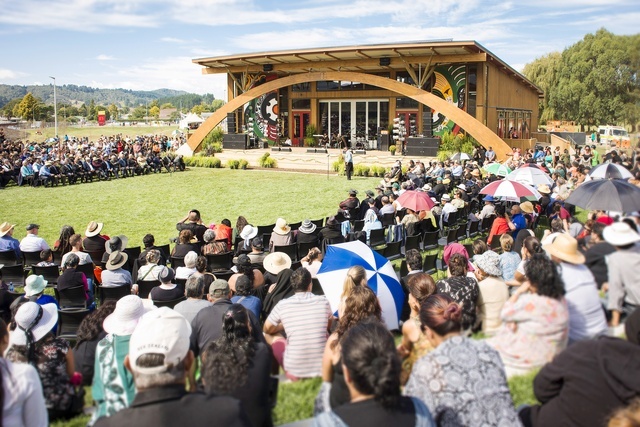 There probably aren’t very many architectural practices in New Zealand that are trying to create an everyday working environment where Māori language and culture is celebrated – from Hangi Fridays to incorporating tikanga, from pōwhiri for special guests to staff singalongs of waiata. At Jasmax, four young Māori architects, Brendan Himona, Haley Hooper, Elisapeta Heta and Rameka Alexander-Tu’inukuafe have set up the Jasmax Māori Cultural Advisory and are endeavouring to make Māori culture an everyday part of the practice’s culture. This is a milestone for what is a large architectural firm in New Zealand. Within the practice, the Advisory also has been involved actively with local body councils, national design institutions, iwi, community, Māori artists and carvers, and Ngā Aho (the network for Māori design practitioners). 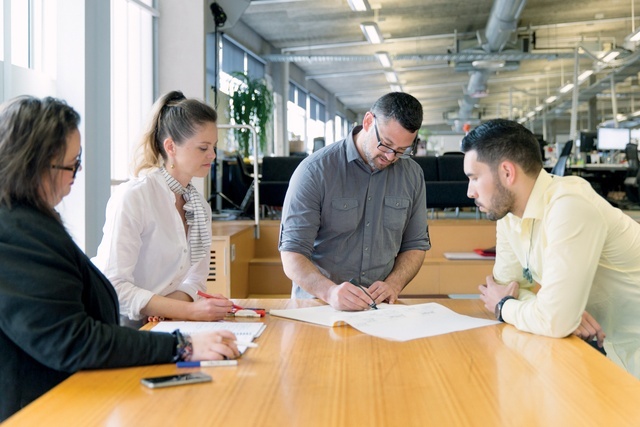 It certainly must be strange for Māori architects, as the indigenous people of New Zealand, to walk into an architectural office and receive little or no acknowledgement of their culture. Conversely, it must be exciting to walk into a firm and have that understood at its core. Heta believes that by incorporating tikanga all of the time – having mihi and having karakia, then “those moments are normalised and it spreads to a wider group of people”. She suggests that it’s about building little blocks to create a purposeful intention of what Māori inclusion can look like, stating, “It’s not token; it’s very much ingrained”. Rameka Alexander-Tu’inukuafe, a graduate of both spatial design and architecture with Ngā Puhi, Tongan, Pākehā and German ancestry, started at Jasmax as an intern and has gained five years’ experience of incorporating Māori protocols into everyday practice. He adds, “There is a legacy at Jasmax, even going back to JASMaD. If you look at some of Ivan Mercep’s early work on some of the first urban marae to be designed and built in Tāmaki Makaurau (Auckland), here was a Pākehā architect engaging with projects like that in the sixties, from those marae through to Te Papa. There was already a track record when we showed up so, then, for me, I thought of some of the things that we do to welcome guests – mihi, karakia and basic stuff that you are taught if you grow up in a kura (Alexander-Tu’inukuafe attended kura kaupapa/Māori immersion schooling). 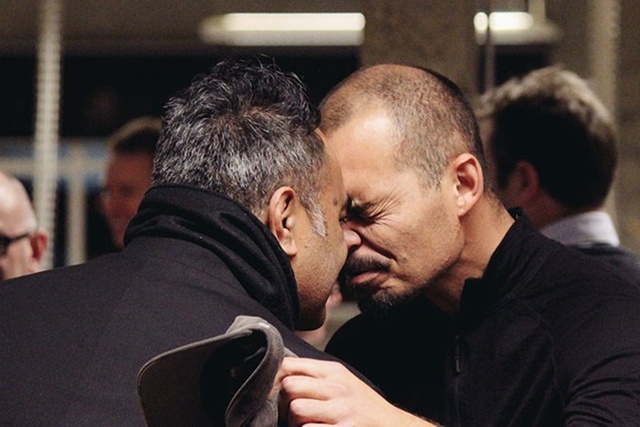 “Ivan and Hamish (Boyd, another Jasmax director) went to a hui at Te Wānanga o Aotearoa and asked me, ‘Our guests are coming up to the office; how can we welcome them?’ I could draw upon what I learnt at kura, although there was a point where we could have said… ‘Cup of tea?’” jokes Himona. Brendan Himona, the eldest of the Advisory team – of Tūhoe, Ngāti Ruapani ki Waikaremoana and Ngāti Kahungunu decent – has worked already for a number of prominent New Zealand architecture firms. You may recognise him from his role in the excellent New Zealand film Ever The Land, about the importance of Te Uru Taumatua, in Tāneatua, to the Tūhoe people. He was one of the lead project architects and worked closely with Ivan Mercep. Haley Hooper, an architectural graduate of Ngā Puhi and Ngāti Hau lineage, suggests that it may be quite a new context for many people the first time they incorporate tikanga into architectural practice: “We have tried to provide a work environment where people can engage with Māori culture in many different ways.” Also, staff enjoy the fact that the Advisory incorporates everyday but special things into its Jasmax events. Indeed, they feel supported by that network of people. “We’ve all had contact with those Māori architectural legends at some point – Rewi was a tutor, Rau was a tutor…,” says Himona. “We’re all protégés of what they set out to achieve.” The Advisory’s influence has the potential to extend beyond Jasmax’s four walls: “You can actually make quite a lot of difference because, at the end of the day, those at the end of the drawing board will be influencing the final outcomes,” says Alexander-Tu’inukuafe.